Ahhh, beautifully preserved National Parks; the trees, the animals, the geology, the lakes and rivers …and the traffic-jam up ahead because someone spotted a horned-lizard and parked in the middle of the road to take a picture! We visit National Parks to get away from civilization, yet often find ourselves trapped in a crowd of tourist bus patrons fighting for a view of Old Faithful. I contend that wearing flip-flops isn’t a requirement to enjoy these awesome spaces and actually prefer to visit off-season with my family. Off-season national park visits provide two huge benefits: (1) crowd avoidance, and (2) discounted lodging prices. But of course, there are many cons to the off-season. These cons include unpredictable weather, transportation issues, closed trails, limited camping and dining options, kids’ school schedules and missing out on high-season sites or activities. Unpredictable Weather: Pack winter clothes and wear layers even if it’s still sunny at your house. My family usually begins our day looking like we’re on an arctic expedition but return looking like we’re ready for the beach. Pack board games. My kids still rave about our family chess tournament while sitting through a springtime Yellowstone snow storm as buffalo tromped past our RV (I won!). Finally, enjoy that snow. 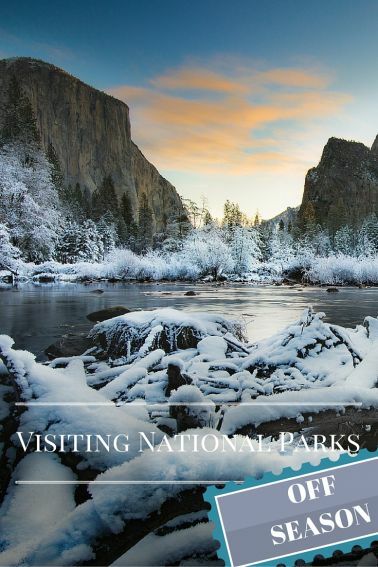 Rent some snow-shoes and explore the Tetons where you can hear the snow fall or admire the contrast of clean white snow on Bryce Canyon’s red rock. Hiking Trails: Yes, some will be closed. However, you may be able to find yourself alone, standing under Delicate Arch or on top of Cassidy Arch with one cool family photo opportunity. Camping: Camping off-season does require some fortitude, or a cozy RV (see my review of Cruise America RV) and plenty of blankets. Several campgrounds are closed in the off-season. But the good news is you will most likely be able to find a camping spot without a 6-month advance reservation. Limited Dining Options: Word of warning – do not leave the house without a loaf of bread, peanut butter and jelly. Those towns next to national parks that exist only because of tourism have restaurants that cannot exist when the high season crowd subsides. Ideally, seek lodging with kitchen facilities and hit the grocery store. I know, who wants to cook while on vacation? I don’t even want to cook when not on vacation. But the truth is, you’ll save money, eat healthier and in some circumstances, you won’t starve – Capitol Reef National Park comes to mind. School Days: Don’t tell my school district, but I honestly believe that a missed day from school to visit a national park provides good hands-on education. I consider this a field-trip which so many of our cash-strapped schools have eliminated. 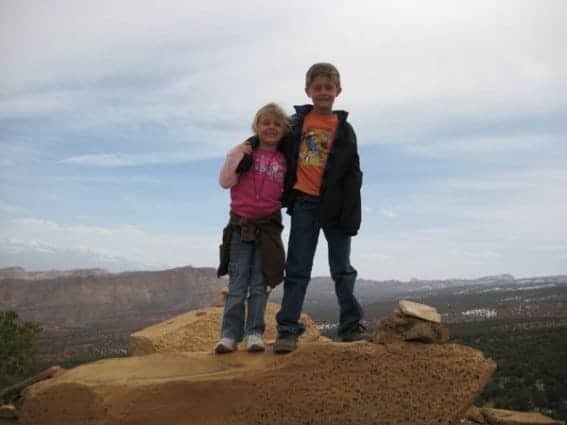 My kiddos have learned about geology, biology, and history from their national park visits and their grades have yet to suffer. Hungry Bears: We usually travel to the Tetons and Yellowstone in spring; the same time all of those hungry scavenging bears are coming out of hibernation. The benefit to this: we always see mama bears and they usually have 2 cute little babies tagging along. In the spring, the animal population is ripe with babies, allowing us to admire newborns such as ornery baby buffalos, knobby-kneed elk, and mischievous wolf pups. Likewise, fall travel allows visitors to experience “the rut” (a good introduction to the birds and bees, and one amazing vocal performance). FYI – we’ve taught our kids that the rut is just how animals’ find their spouses: a song, a display of manliness, some head butting, a coy play of “hard-to-get”; you know, it’s exactly how we find our spouses. Junior Ranger Program: Stop at any national park visitor’s center and ask about the Junior Ranger Program, a good educational program to engage kiddos in your park visit. Off-season travel doesn’t end their ability to earn that highly prized badge. Rangers make accommodations for kids that can’t attend ranger-led programs due to off-season travel. 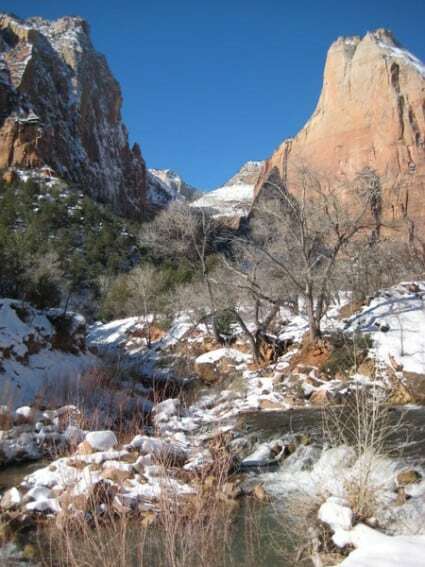 Zion National Park – Go in winter to forgo the shuttle buses, but beware of the icy switchbacks along the Zion-Mount Carmel Highway. 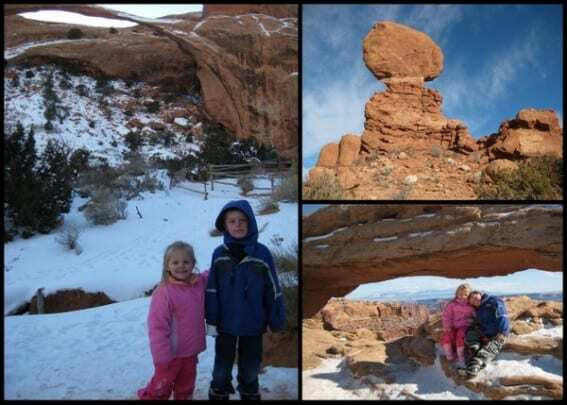 Arches National Park –Go in the winter and you’ll snap an awesome family photo on the arches with the snow covered La Sal mountains as your backdrop. Yellowstone National Park – Old Faithful still erupts in the off-seasons and you might be able to find a seat to savor a cup a coffee next to that awesome fireplace at the inn. Grand Teton National Park – Check out some of the amazing luxury lodging discounts at Teton Village during the ski shoulder seasons. 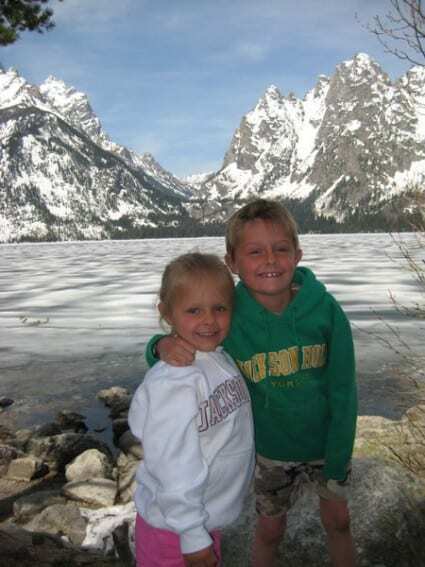 The bottom line is my family loves off-season national park travel; crowd avoidance and discounted lodging are huge benefits and we’ve learned to overcome, and actually enjoy the cons. However, I hope your family will consider otherwise. I really want to be the only family under Delicate Arch this off-season! 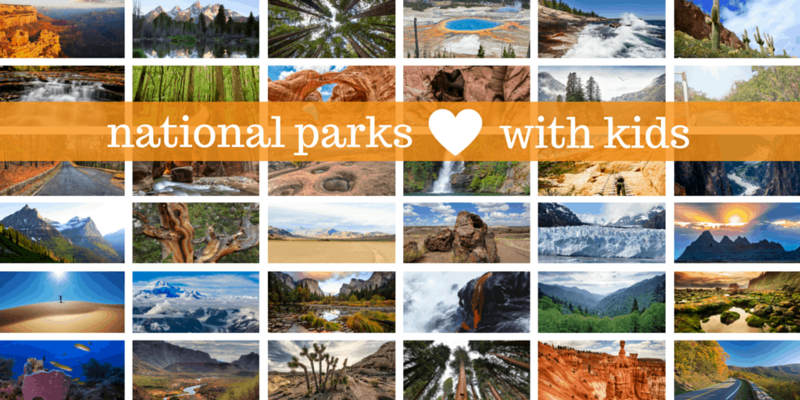 We love visiting National Parks in the off-season too. We take great pleasure in enjoying the sights and sounds and having the trails to ourselves without the crowds. We learned our lesson when we got caught in a traffic nightmare in Yosemite during a Memorial weekend visit a few years ago.